Investigate & Make the News! 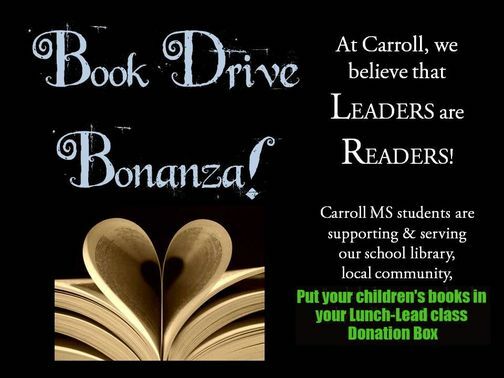 The Contest: Each Home Room (Lunch/Lead) will COMPETE to bring in the most books. Put your donations in your HOME ROOM Donation Box!